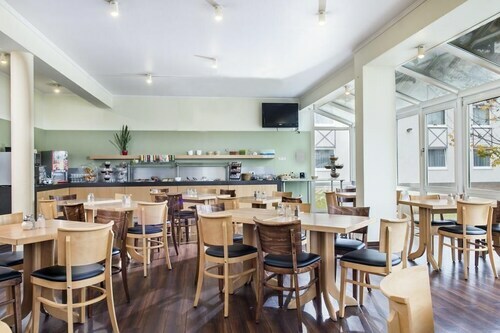 Located in Erfurt Old Town, this hotel is steps from Aegidienkirche and Kramerbrucke. Erfurt Exhibition Centre is 2.5 mi (4 km) away. Erfurt Central Station is 12 minutes by foot. 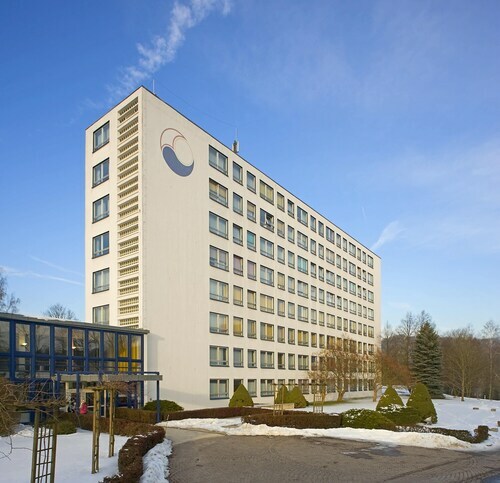 Situated in Erfurt, this hotel is 2.1 mi (3.3 km) from Egapark Erfurt and 2.4 mi (3.8 km) from Erfurt Exhibition Centre. Erfurt Cathedral and St. Severi Church are also within 3 mi (5 km). 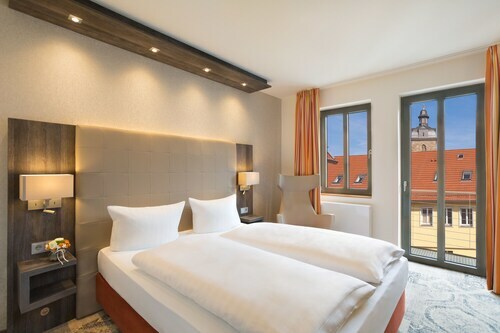 Located in Erfurt Old Town, this hotel is steps from Aegidienkirche and Kramerbrucke. Erfurt Exhibition Centre is 2.5 mi (4 km) away. Erfurt Central Station is 13 minutes by foot. Located in the heart of Weimar, this hotel is within a 15-minute walk of Congress Centre Neue Weimarhalle and Bauhaus Museum. Goethe-Schiller Monument and German National Theatre are also within 1 mi (2 km). Weimar Station is only a 2-minute walk and Weimar West Station is 15 minutes. 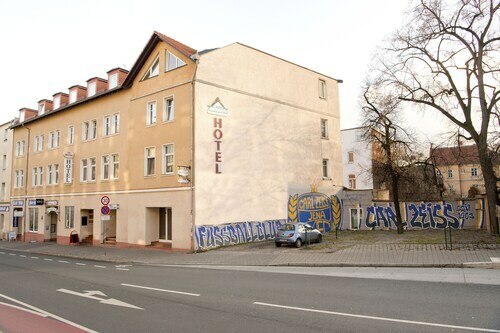 Situated in Erfurt, this hotel is 2.7 mi (4.4 km) from Angermuseum and 2.8 mi (4.6 km) from Kramerbrucke. Aegidienkirche and Erfurt Puffbohne Cabaret are also within 3 mi (5 km). Located in a regional park, this family-friendly hotel is within 12 mi (20 km) of Avenida Water Park, Weimarhallenpark, and Parkhohle. 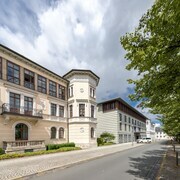 Goethe House and Goethe National Museum are also within 12 mi (20 km). 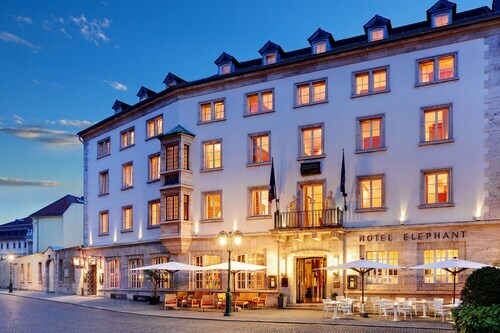 Situated in Weimar, this hotel is steps from Goethe House and Goethe National Museum. Bauhaus Museum and Buchenwald Memorial are also within 9 mi (15 km). Weimar Berkaer Station is 15 minutes by foot and Weimar Station is 21 minutes. Situated in a rural location, this spa hotel is 0.1 mi (0.2 km) from Toskana Therme and within 9 mi (15 km) of Rudelsburg and Landesweingut Kloster Pforta. Dornburger Castle and Naumburg Cathedral are also within 12 mi (20 km). Bad Sulza Nord Station is 11 minutes by foot and Bad Sulza Station is 13 minutes. 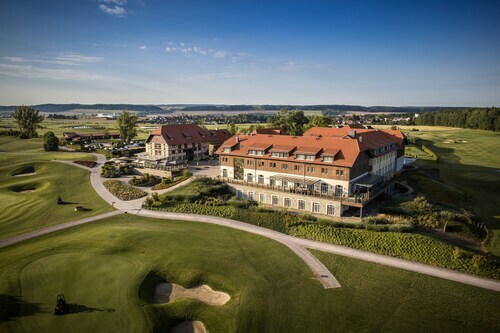 Situated in Elxleben, this hotel is within 9 mi (15 km) of St. Severi Church, Kramerbrucke, and Erfurt Exhibition Centre. Old Synagogue and Aegidienkirche are also within 9 mi (15 km). Elxleben Station is 8 minutes by foot. 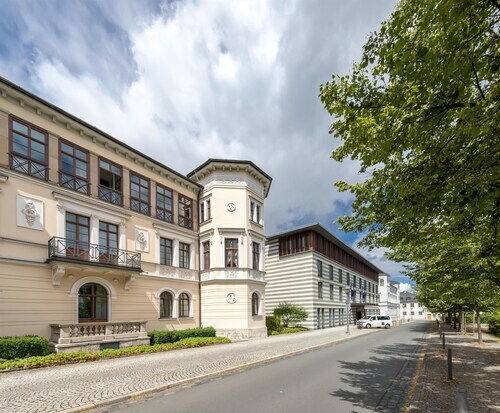 Situated in Jena, this hotel is within a 10-minute walk of Schiller's Summer House and JenTower. Stadtkirche St. Michael and Zeiss Planetarium are also within 15 minutes. Jena West Station is only a 2-minute walk and Jena Saale Station is 25 minutes. You deserve a travel experience that exceeds your expectations and Independent hotels in Weimar can make sure that happens. While you’re vacationing, or even traveling for business, it’s all about you. You shouldn’t have any worries or concerns when you’re on the road, which is why you always choose to stay in accommodations you know and trust. If you’re ready for excellent customer service at a hotel with a solid reputation, then you know where to go. These hotels will always treat you well, from the thread count of your sheets to the stocked minibar for all your snacking needs. When you’re ready to explore, head out to discover the local sights and get recommendations from the hotel staff on the best restaurants, too. 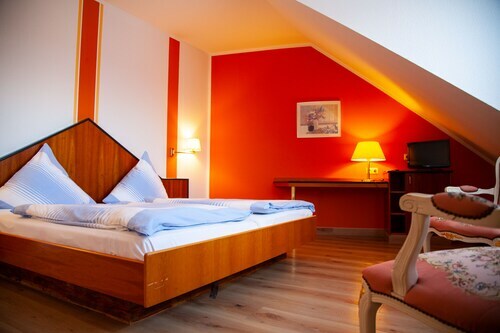 Weimar Independent hotels are the perfect place for your getaway. Many are conveniently located near parks, shopping, restaurants, nightlife, and downtown, giving you the luxury of convenience at an affordable price. If you think this might tip the budget scale to heavy, don’t worry--Travelocity offers cheap Independent hotels in Weimar. You get more than comfortable accommodations for a very reasonable price. Book your stay through us now and receive special online promotions, discounts, and offers for future travel plans. Location: great Parking: not bad for a German hotel Check in: quick, professional, friendly Room: good. Bathroom, however, should be re-done (sooner rather than later) Bar: nice. Excellent staff, outstanding service! Breakfast: Food selection: very good. Nice extra: glutenfree section! Breakfast staff: inexperienced! Friendly but the weekest link in the hotel chain. Classic and classy hotel, but not really pretentious. Felt very relaxed and happy there. 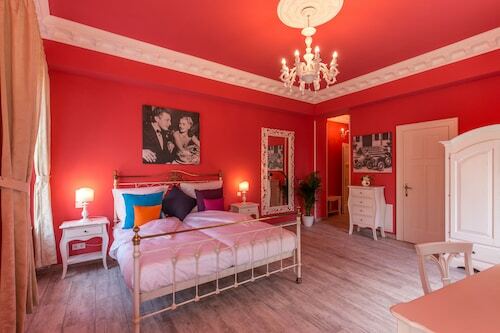 I got what I thought was a good price on the room and feel it was well worth it. Also really enjoyed the breakfast in the beautiful dining room.